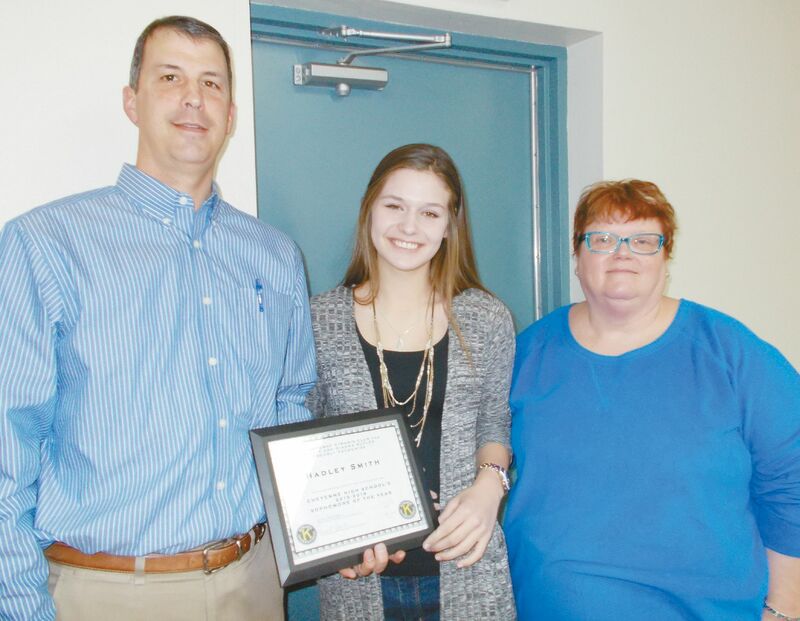 By Pat VerSteeg — This past week, at the Senior Citizens Center Kiwanis luncheon, Hadley Smith was honored by the Cheyenne Kiwanis Club, and Phillip and Diane Butler with the Butler-Kiwanis Sophomore of the Year Award, which includes a scholarship of $300 year payable upon graduation. The award seeks to recognize young people of talent and character who demonstrate promise. Diana Butler, and Principal Whitney Moore were on hand to introduce Hadley, and parent Loren Smith was also on hand for the award presentation. PreviousWhy was this Gun Left Behind?